Electroplating offers many important benefits that can improve the quality of your manufacturing processes and enhance your competitive position in our global market. 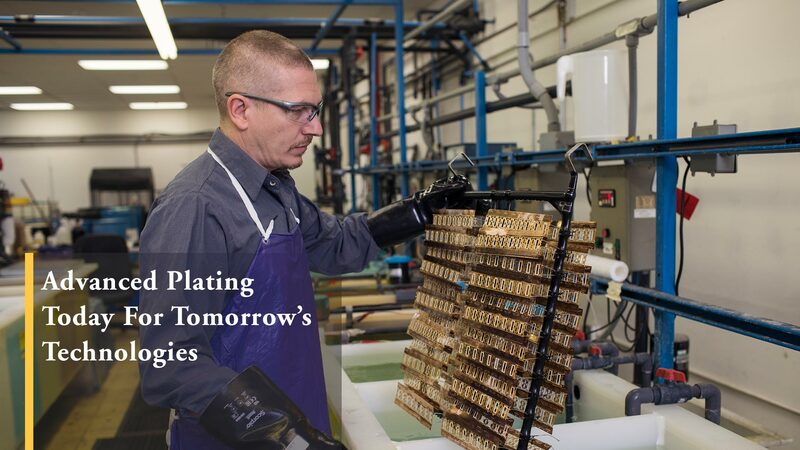 EMI Quality Plating has provided metal finishing solutions since 2005 and specializes in the development of unique plating processes on difficult substrates. EMI is leading the way with plating processes for air cavity packages, laser components and barrel plating of plastic components. "EMI has been our supplier for years. The quality and plating is by far the best in the market. They have gone above the call of duty to reduce cost. This is a huge advantage for a Purchasing Agent like me during contract review. EMI will always find ways to reduce cost for the customer, and not jeopardize the integrity of the part."